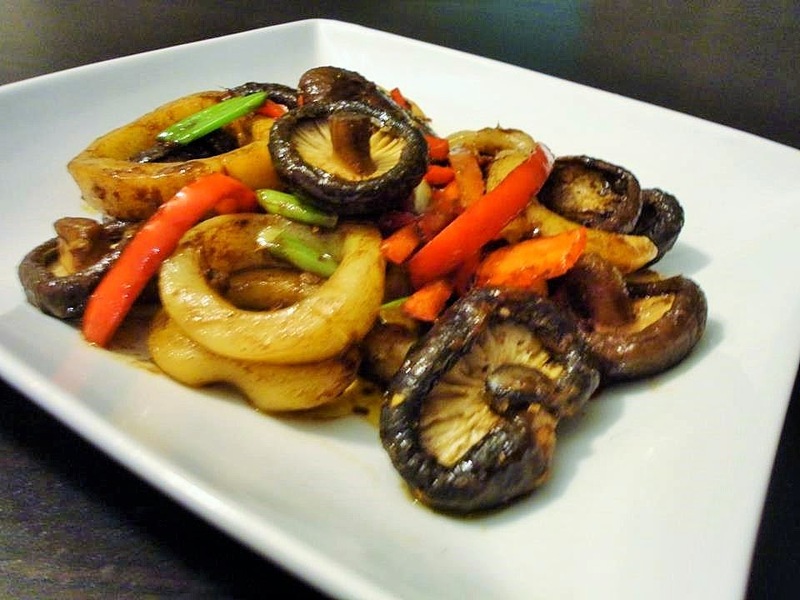 There are quite a few ingredients in this stir-fry, hence the mixture of tastes and textures. Squid is stir fried in a matter of minutes and the five-spice sauce compliments the flavor. 1. Heat the oil in a preheated wok. Stir-fry the squid quickly. Remove the squid from the wok with a slotted spoon and set aside. 2. Add the ginger, garlic, spring onions, red pepper, chilli and shiitake mushrooms to the oil remaining in the wok and stir-fry for 2 minutes. 3. Return the squid to the wok and stir in the five-spice powder. Stir in the soy sauce, sugar and rice wine or dry sherry. Bring to the boil and cook, stirring, for 1 minute. Serve immediately.